Louisiana Miniature Pinscher Rescue View other Miniature Pinschers for adoption. 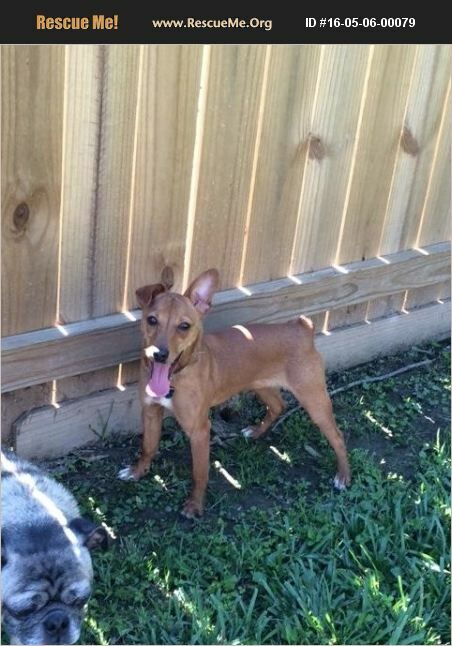 ADOPTION PENDING--Copper is a male Min Pin/Terrier mix who was born 10/31/15. He is neutered, up to date on shots, heartworm negative. He gets along well with cats, dogs, and kids. Copper's family could no longer keep him because the child in the family was allergic to dogs and by recommendation of the doctor they had to give him to rescue to find him a new home. Can you be his new home?